Enjoy incredible views of the world famous Harpers Ferry Gap from our decks and balconies. The Ledge House B&B sits atop the historic town of Harpers Ferry overlooking the Potomac and Shenandoah Rivers as well as the Chesapeake and Ohio Canal. A gourmet breakfast is prepared with fresh ingredients daily, and served with a view. The B&B is within walking distance of all points of interest inside Harpers Ferry National Historic Park. Hike the Appalachian Trail, Bike the C&O Canal, or Raft the Shenandoah and Potomac Rivers. We do not allow guests to bring pets. Children 12 years and older are welcome, but no children under 12. Please be aware that there are fourteen steps from the parking area down to our main entrance. Please call to inquire more at 877-468-4236 if steps are troublesome for you. Click to check availability at all of our beautiful Harpers Ferry locations! Each suite features a comfy bed, sitting room/area, private bath, and wi-fi. Breakfasts are prepared using local produce, farm fresh organic eggs, and free-range, hormone-free pork. Suite 1 is on the ground floor and has its own private entrance. It features a king-size bed and an in-suite bathroom with a shower and tub combo. A balcony door opens onto the main deck overlooking the famous Harpers Ferry gap — the confluence of the Potomac and Shenandoah rivers. Suite 2 is on the second floor and features a king-size bed, pull-out couch, garden tub, and stand-alone shower. The suite has its own private balcony overlooking the confluence of the Potomac and Shenandoah rivers. 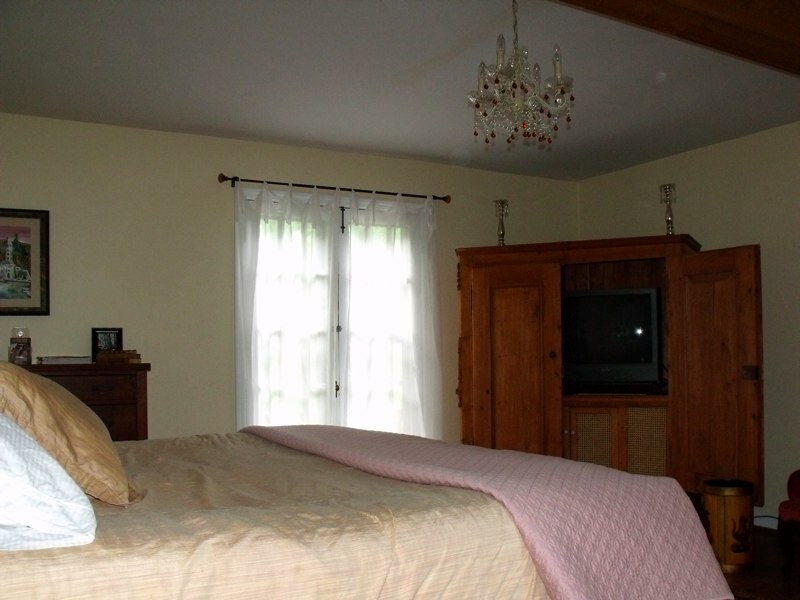 Lovely, comfortable, and quirky, this suite has a spectacular view of the Harpers Ferry “gap.” Less than standard size, it is overtop the oldest part of the house and has a lot of character. It features an Olympic queen-size bed and a private bath just outside the room. 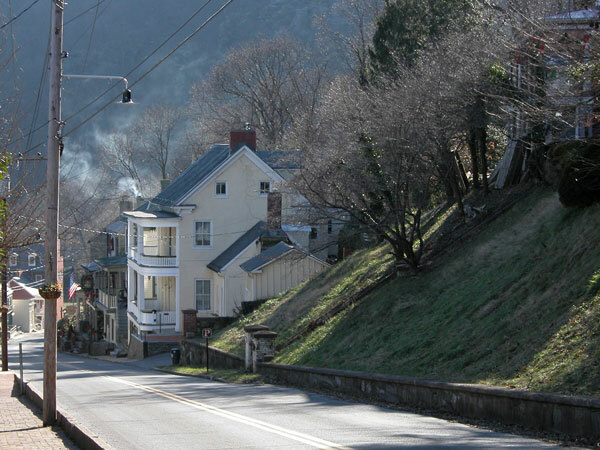 Give the gift of a relaxing getaway at the most scenic B&B in Harpers Ferry, WV! We offer gift certificates in $25 increments that can be purchased online. This fantastic gift for someone special will create lasting memories. Gift Certificates can be instantly printed, or mailed. You will have the option during check out. Please call us at 877-468-4236 if you have any questions. Walk to restaurants, Appalachian trail, historic lower town Harpers Ferry. Kayak, tube, raft, zip line and enjoy all the natural outdoor activities found in the area. Explore the local battlefields and enjoy vineyard tours and tastings at our award winning vineyards. Our B&B sits atop the famous gap view of Harpers Ferry with spectacular views of the passing by trains, the train station and the tunnel under Maryland Heights. Trains can be heard while relaxing on our porches and balconies. Ride in the Amtrak train to the Harpers Ferry Station! We are in walking distance from the station. It's a short (mostly uphill) walk to the B&B. From the station: Follow steps up past Hannah's Train Depot to High St. Take a right and walk up hill until you reach the Hillside Childcare Center on the left. Just past there you will see Henry Clay Street on the left. Follow Henry Clay St until it ends (only 1/8 mile or less) at the Ledge House driveway. Whether a Harpers Ferry Elopement or Vow Renewal, the Ledge House B&B will create a lifetime memory with a provided Officiant, flowers, photography, a 3-course dinner and more! This intimate ceremony setting for 2, or up to 6, includes a ceremony on the large deck overlooking the rivers and mountain gap. The staff at The Ledge House B&B can arrange a small wedding that fits your budget and is unique and personal. All you have to do is come and relax and enjoy yourself! Due to the heavy volume of weekend travelers during the warmer months, we only offer these packages Sunday through Thursday from May through October. We are happy to accommodate weekend private parties from November through April. Subject to availability. Must plan at least 30 days out.